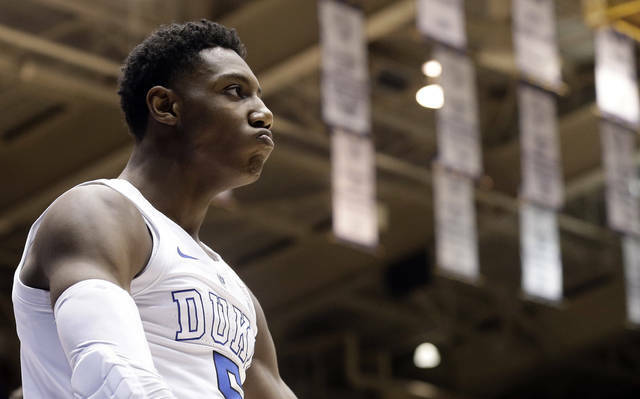 Here’s the difference: The Blue Devils had RJ Barrett, Zion Williamson and a defense that —even without key on-the-ball defender Tre Jones— flipped the script on the Cavaliers. “We did a lot of switching tonight, and we were able to move their defense enough — just enough, not every time — to get some driving lanes,” coach Mike Krzyzewski said. DeAndre Hunter scored 18 points, and Ty Jerome and Kyle Guy had 14 apiece for the Cavaliers (16-1, 4-1), who entered as the nation’s last unbeaten after No. 2 Michigan was upset at Wisconsin earlier in the day. 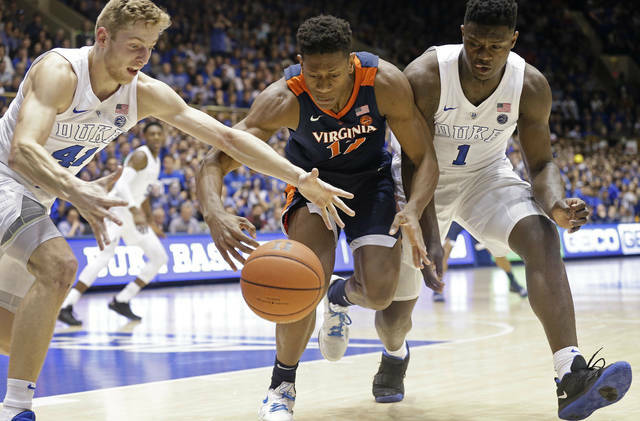 Virginia allowed Duke to shoot 63 percent in the second half — and hit 12 of 15 shots inside the 3-point arc — while giving up a season-high point total. The fourth matchup of top-ranked teams in the sport’s history — Virginia entered at No. 1 in the coaches’ poll — was a tournament-caliber game throughout. There were 14 ties and 15 lead changes, and it was a one-possession game for a 14½-minute stretch of the second half. After the Cavaliers missed 11 of 12 shots during a late nine-minute stretch, they pulled within 69-66 on Guy’s 3-pointer with 23 seconds left. Barrett hit two free throws with 20.9 seconds to play, and Virginia let too much time elapse before Braxton Key was fouled with 8.9 seconds remaining and hit both shots to make it 71-68. Virginia: The Cavaliers’ best start since opening 19-0 in 2014-15 is history, and they won’t wind up at No. 1 in the AP Top 25 on Monday. After winning a top-five matchup here last year, untimely cold shooting down the stretch — and their struggles to keep the Blue Devils from getting to the rim on defense — led to their first defeat. But circle the date on the calendar: The rematch in Charlottesville comes on Feb. 9. 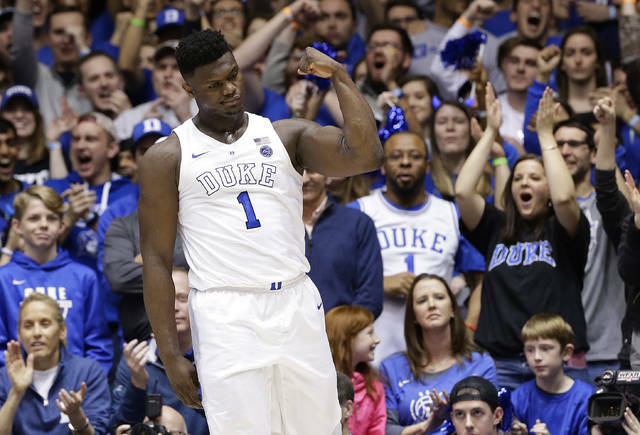 Duke: With one key freshman out — Jones — the Blue Devils rode the three other members of their freshman class to a significant victory. Williamson, Barrett and Reddish combined to take 47 of Duke’s 51 shots and score 66 of their 72 points. Good luck to the voters who have to sort this out. It’s hard to punish the Cavaliers too much for losing at Cameron. The question surrounding the Blue Devils: Will the spoils of this victory weigh more than their overtime loss to Syracuse when they were down two starters? Bennett said Duke was the first team to switch on every screen set by the Cavaliers — a tweak to the game plan Krzyzewski said he made a couple of days before the game in an attempt to limit Virginia’s open 3-pointers, especially the catch-and-shoot 3s that are an integral part of Guy’s game. He compared Guy to former Duke star J.J. Redick, calling him “the closest that I’ve seen to J.J. in the league.” Guy was 2 of 7 from 3-point range, and Virginia finished 3 of 17 from beyond the arc. This was the Blue Devils’ first full game without Jones, who separated the AC joint in his right shoulder early on against Syracuse. Jones watched from the bench in a polo shirt but without a sling. Duke had just six assists on 26 baskets after averaging 18 assists in its previous 16 games. Krzyzewski said there’s still no timetable for Jones’ return.